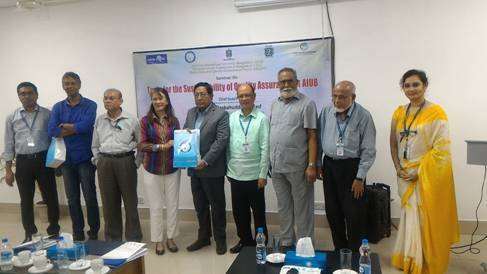 Prof. Dr. Mesbahuddin Ahmed, Chairman, National Accreditation Council of Bangladesh (NACB) was the Chief Guest during the Seminar on Tools for the Sustainability of Quality Assurance in AIUB. The program was organized by the AIUB-IQAC primarily for the following objectives: to assess the existing status of the QA Tools used by the different Faculties; to discuss the utilization and benefits of these tools in sustaining QA in the respective Faculty; to identify constraints in the implementation of these QA Tools and recommend alternative actions/solutions to address the problems; and discuss strategic actions to sustain QA in the university. The seminar was preceded by a video presentation on the Journey of AIUB in developing QA and implementing it through accreditation. The honorable Vice Chancellor, Dr. Carmen Z. Lamagna delivered the welcome message. She underscored the importance of QA in the different academic programs and the struggle of AIUB to have the programs in business, computer science and engineering attained international accreditation status likewise, the certification of the quality management operation by SGS-UKAS under ISO9001:2008. 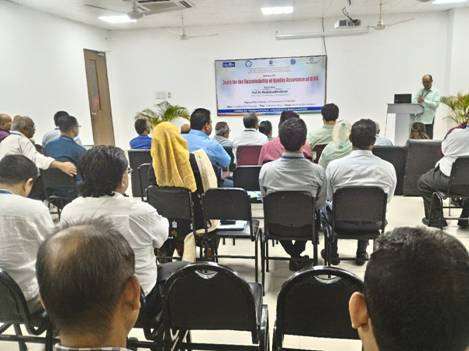 She also acknowledged the successful self-assessment and the External Peer Review (EPR) conducted on the 9 program entities under the IQAC project of HEQEP World Bank implemented by UGC-QAU. She assured the participants that QA will continue in the university even if the HEQEP project terminates. 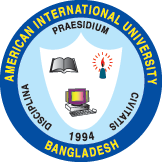 On the other hand, Prof. Dr. Mesbahuddin, expressed recognition of the efforts of AIUB in having its programs internationally accredited and the initiative to organize this seminar in view of its relevance and importance on QA’s sustainability in the university. He also presented some points which will be taken into consideration should NACB commence its operation. 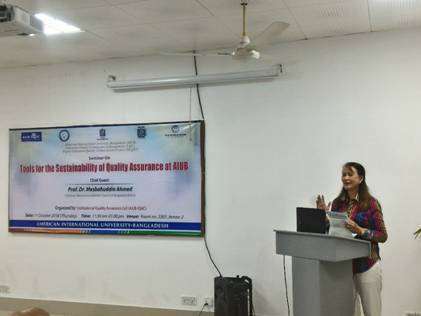 Each Faculty presented the different tools and activities being undertaken to sustain QA in their respective Faculty and department. 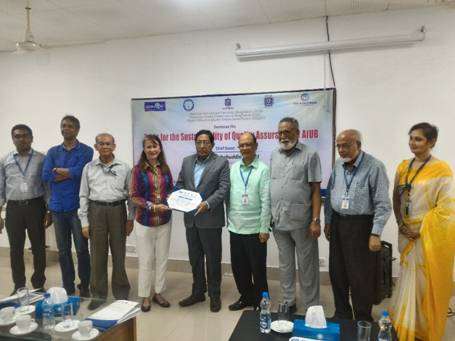 Ms. Farheen Hasan, Director of the BBA program and Additional Director, AIUB-IQAC presented on behalf of the FBA; Dr. Ramatullah, Head, Economics Department and also Additional Director, IQAC presented on behalf of the FASS; Dr. Abdur Rahman, Associate Dean, FE presented on behalf of the Faculty of Engineering by emphasizing the implementation of Outcome Based Education (OBE) in accordance with the requirements of Washington Accord; Dr. Dip Nandi, Head, CS Undergraduate Program presented on behalf of the FSIT. Prof. Dr. Charles C. Villanueva, Vice President, Academics and Director, IQAC outlined and expounded on strategic actions to be taken for the continuous sustainability of QA in the university. 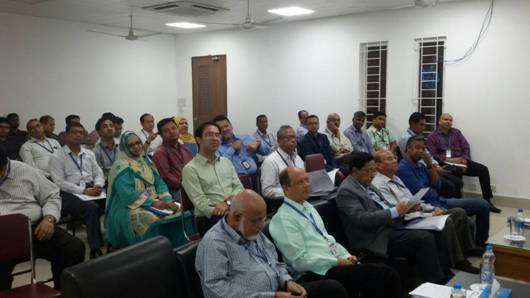 The Deans of FE and FASS, Prof. Dr. Siddique Hossain and Prof. Dr. Tazul Islam, respectively delivered brief impressions about QA in the university. Prof. Dr. Tafazzal Hossain, Pro Vice Chancellor and Dean of FSIT conveyed the Vote of Thanks for the presence of the Chief Guests and to all those present in making this seminar very informative and successful. Following the vote of thanks was the presentation of the Certificate of Appreciation and Souvenir Gift by the Vice Chancellor to the Chief Guest and to the special guest Prof. Dr. Mahbub, UGC-QAU member.